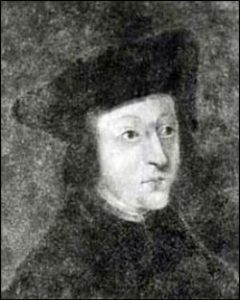 On Tuesday 18th April 1536, the imperial ambassador, Eustace Chapuys, was tricked into bowing to Queen Anne Boleyn and recognising her as queen. Chapuys had refused the offer of visiting Anne and kissing her hand but George Boleyn conducted the ambassador to mass and manoeuvred him behind the door through which Anne would enter. As Anne entered with the King, she turned, stopped and bowed to Chapuys. Chapuys had no choice, he had to bow and recognise the woman he called “the concubine” as queen. A victory for Anne and Henry VIII.